The Akron Celtic Guards compete as members of the Midwest Division of the United States Gaelic Athletic Association (USGAA). The USGAA is a constituent body of the Irish Gaelic Athletic Associations (GAA), which oversees all Gaelic Athletic Associations across the world. We started as a hurling club in 2002, mentored early on by the infamous Al O’Leary, who was a founding member of the Cleveland Kickhams Hurling Club. Originally coached by Seamus White, then Noel Morton, and now lead by Mark Agner, we have bloomed with the help of the City of Akron, Sports Alliance of Greater Akron, a strong Board of Directors, dedicated players, their loyal fans, the Ancient Order of Hibernians (Mark Heffernan-Division 2 and St. Brendan- Division 3), Ray’s Pub in Highland Square, Frank's Place on Market, and many other sponsors. 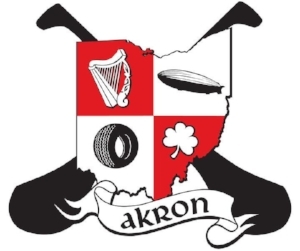 The Akron Celtic Guards' crest is laden with symbols that represent Ireland, the Irish, Hurling, the City of Akron, and the state of Ohio. The Akron Celtic Guards Hurling Club strives to increase awareness and foster the games of hurling & camogie within our community and throughout the midwest. As a member of the USGAA, we share its main goal and purpose: to promote Irish culture and heritage through sport.